Most tourists and travelers come to Hoi An for its well-known ancient town which is said to be the most well-preserved example of a trading port in South East Asia in the 15th to 19th century. 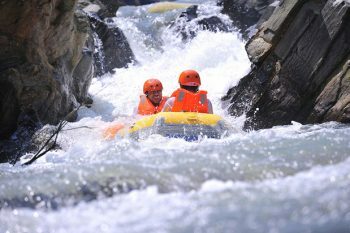 The most favorite activities here is to picture yourself in such old surroundings, which is used to be trendy with vintage style. 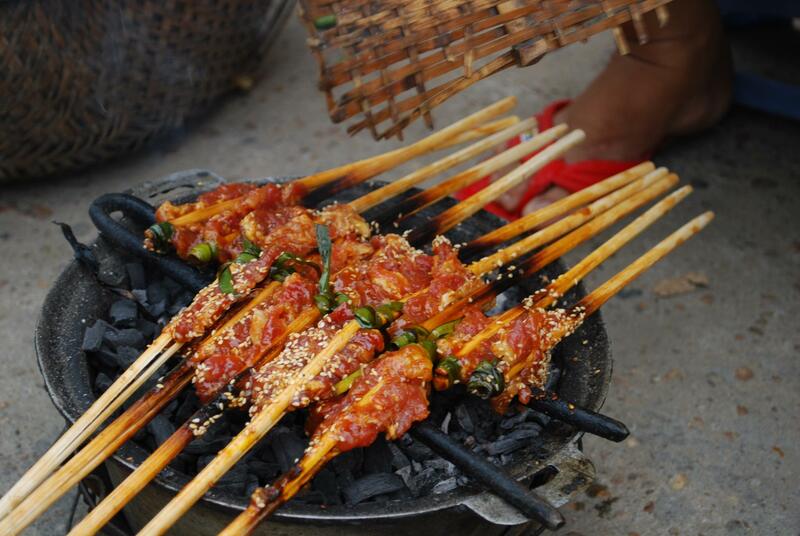 Just only when people come to Hoi An that they say that they should have come there for a Hoi An food tour. 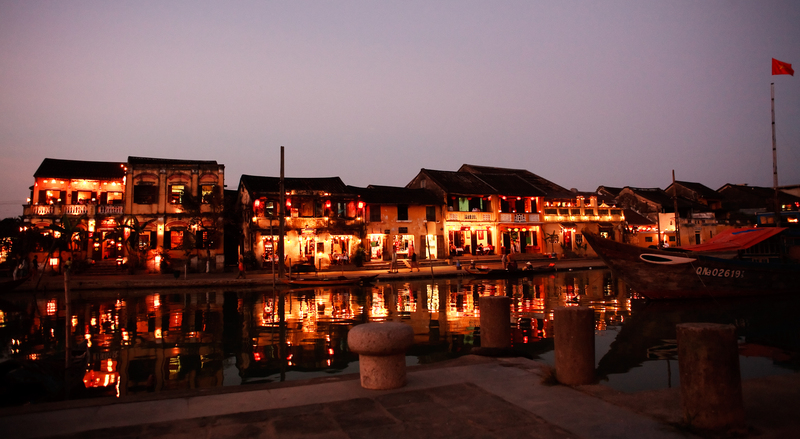 Hoi An ancient town is terrifically beautiful at sunset. Touring Hoi An, it is best walking around the areas to take in the ancient atmosphere, get known deeply about the history of each structure. Yet, touring for food in Hoi An needs a motorbike to get the most of Hoi An tour. 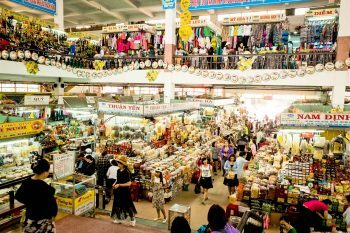 Travelers can stop at any sight interesting them or any food stalls that look delicious when joining a Hoi An motorbike food tour. 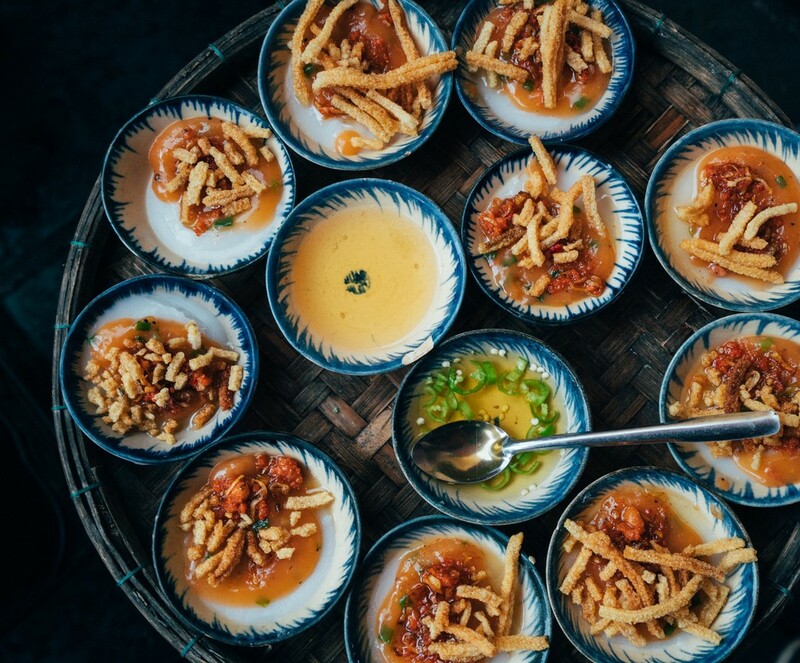 Most food tours in Hoi An lasts 4 – 5 hours from the late afternoon, 4PM, until the late evening, 9PM, when the town is at its most crowded time with diversified food stalls and eateries. 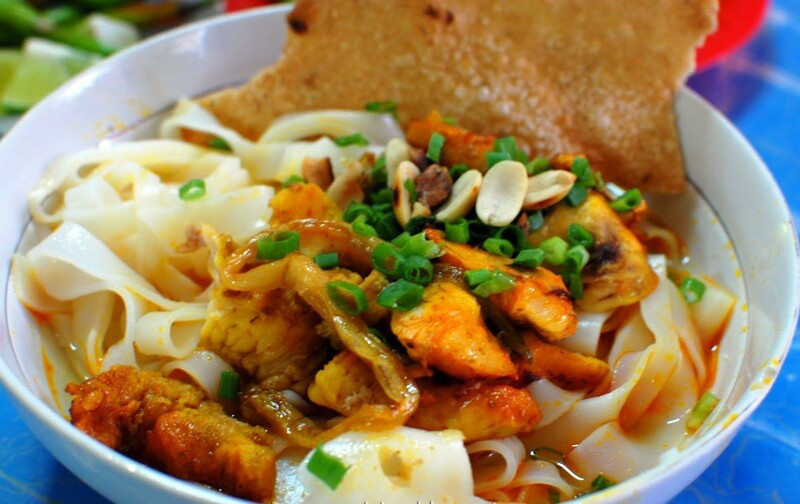 The first must-eat cuisine in Hoi An is the unique “Cao Lầu”, a kind of special-made noodle only found in Hoi An. A bowl of Cao Lau is made of noodle, sliced pork (called Xá Xíu of which origin is Chinese), local greens, and little broth. The dish is extraordinary in the way it is cooked. The noodle is made by mixing ground rice with ash and water. The ash is collected from burning a type of firewood in the Chàm isle, located 19km from Hoi An. 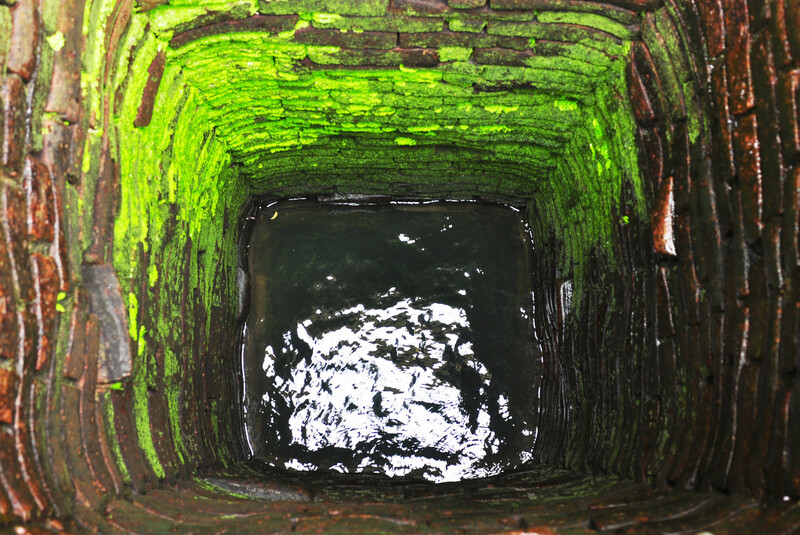 Water to make Cao Lau noodle is taken from specific wells called Bá Lễ wells. When you join a Hoi An motorbike tour, you will definitely be told and explain in details about how this specialties are cooked. 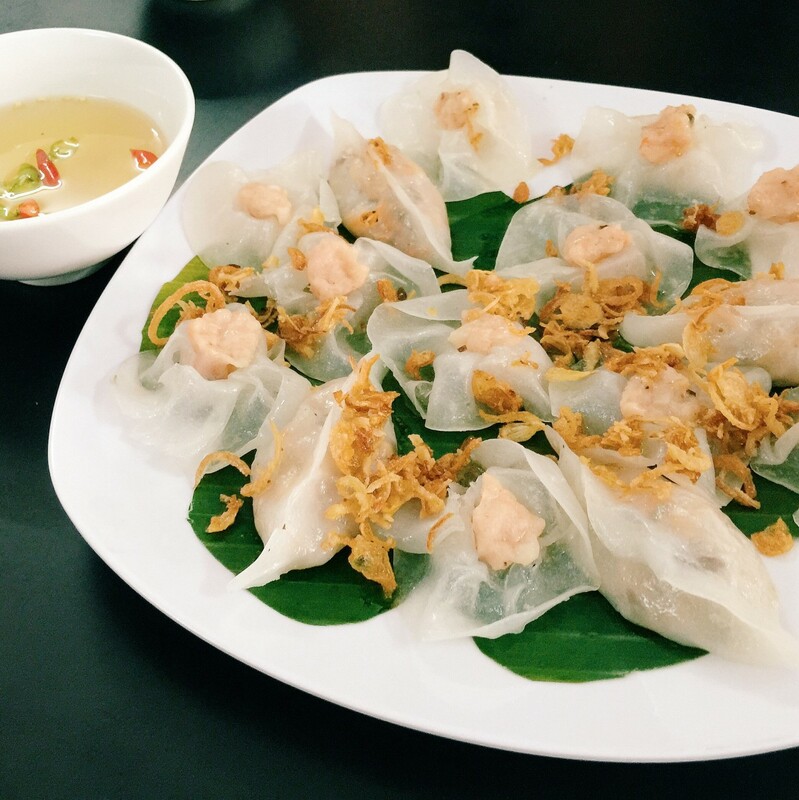 There are several variations of Cao Lau, some cook the pork differently, some add toppings like fried pork rind, peanuts, rice crackers, scallions, etc., some modernize this specialty by added shrimp or chicken, or even blend the broth with dried shrimp. Another thing that makes Cao Lau unique is that ordering this dish, typically, tourists will then be served on the highest floor of the restaurants. 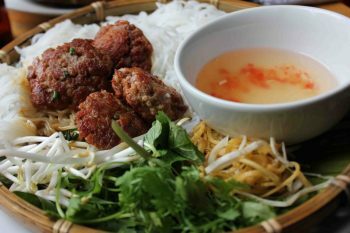 And that is also the name of the dish “Cao Lầu” – upper floor. No other places can own the original taste of the Cao Lầu due to its ingredient sources. The next nominee on the Hoi An motorbike food tour is Bánh Mì (Hoi An bread). 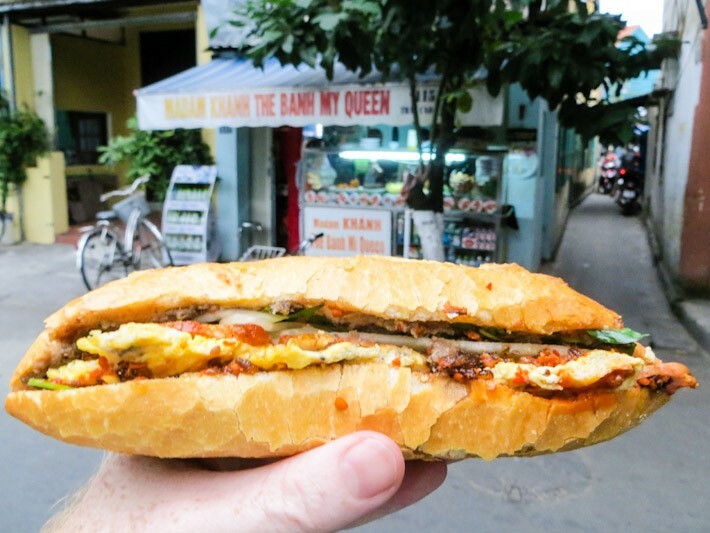 Although banh mi can be found easily anywhere in Vietnam, yet, the Bánh Mì in Hoi An bring it to the world notice. 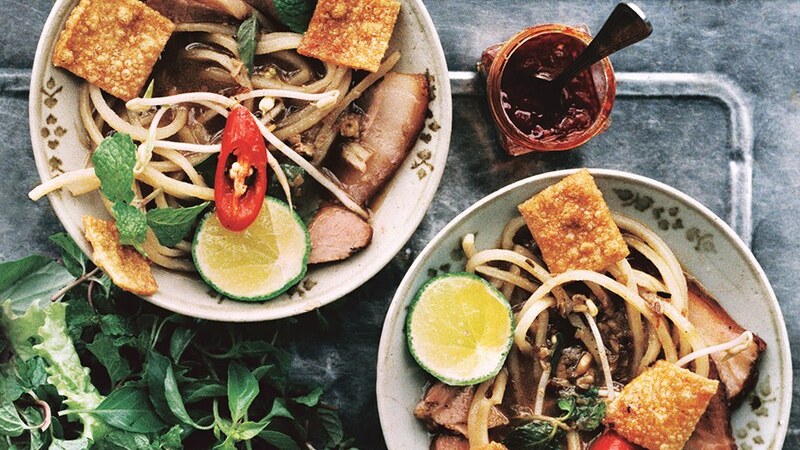 There are two most renowned brands of the bread: Bánh Mì Phượng or Bánh Mỳ Madam Khanh (also known as Banh My Queen), each has its own unforgettable taste. The secret lies in the mixture of the ingredients and the sauce. Banh mi Phuong in Hoi An is flavored in a differently tasty way. Banh My Queen (Banh My Madam Khanh), small shop, yet great flavor. There are hundreds of different food travelers can try during their Hoi An food tour on motorbikes. The tour usually stops at around 6 – 10 locations of dishes and tourist can try up to 20 different specialties in this mouthwatering town. The above two dishes are the always-have-dishes during the tour. Other kinds of food varies, depending on where you depart and how long the trip is. Some recommended dishes are namely some here: Mì Quảng (Quảng Noodle), Bánh xèo (Vietnamese Pancake), Bánh Bao Vạc (White rose dumplings), “Bánh tráng cuốn thịt heo” (Grilled pork wrapped in rice papers), Bánh Bèo (Water fern cake), “Xí Mà Phù” (black sesame sweet soup), etc. Grilled pork to be wrapped in rice papers. 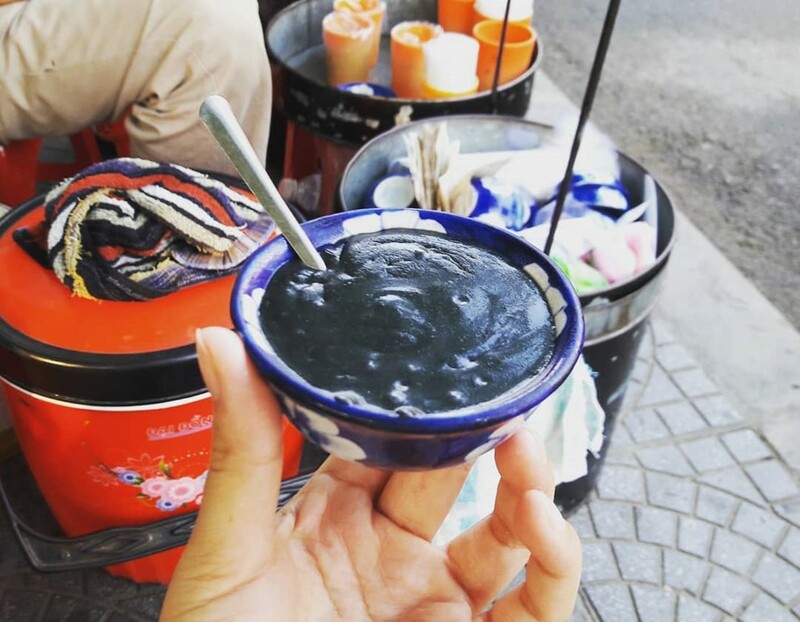 Xi Ma Phu (Black Sesame sweet soup) is easily found on Hoi An street. 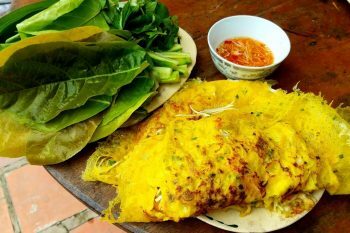 A big dish of Banh Beo Hoi An for a group of tourists. Banh Bao Vac or White Rose Dumplings in Hoi An are well cooked than the others. Mouthwatering Mi Quang (Quang Noodles) in Hoi An has quite strong flavour. In order to make the most of the trip, tourists are suggested to join a Hoi An motorbike tour in which the food tour is included during the daytime. Tourists then don’t have to rush their stomach to digest what they have just eaten in effort to try as many different dishes as possible. 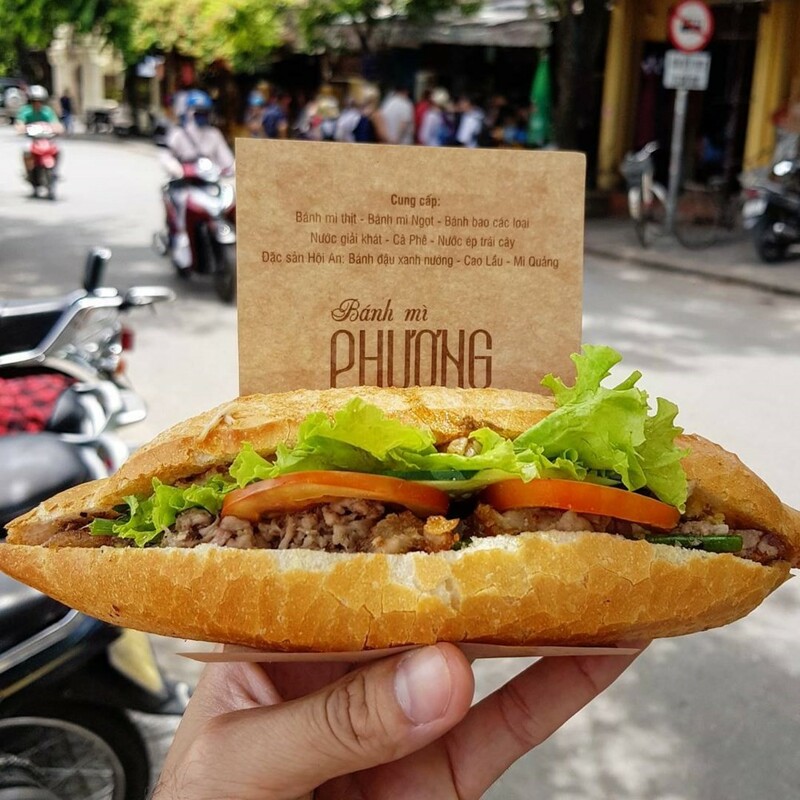 Saigon Riders will more than just happy when you chat with us to order and plan a food tour in a whole day, which is not so popular among the tour operators.